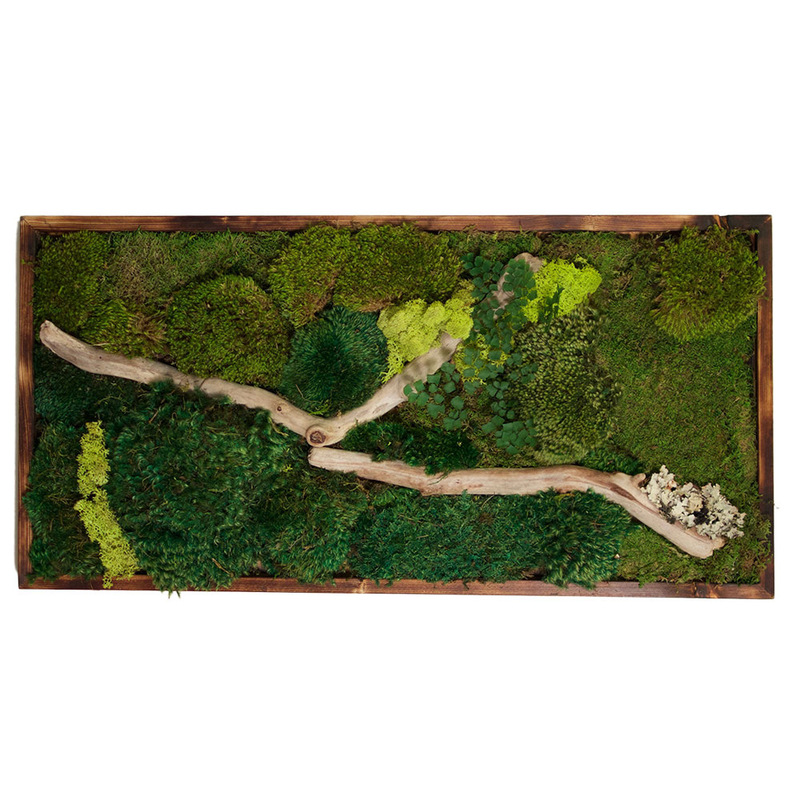 Our stunning wall art inspires with the beauty of nature. 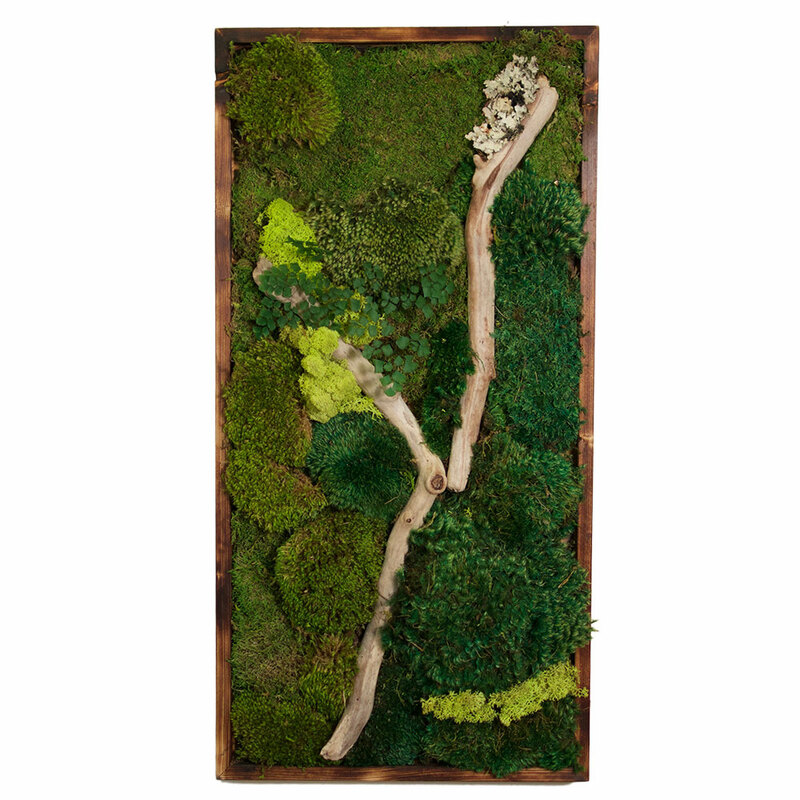 The vertical moss paintings will enhance a variety of spaces both rustic and modern, business or home. These unique and one of a kind art creations create a unique experience. Each moss wall art is made with 100% preserved moss and plants for a worry free and zero care experience. The artwork will stay vibrant and green for years to come. 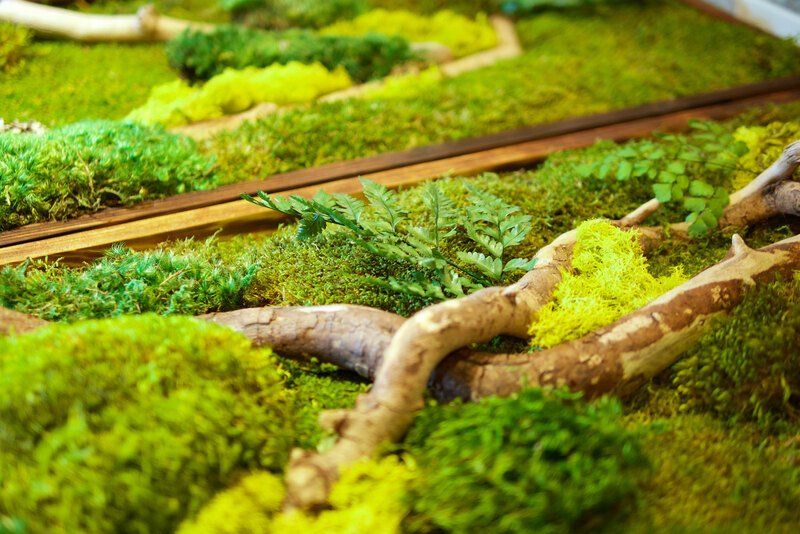 All you need to do is to enjoy the calming beauty of a real moss painting. 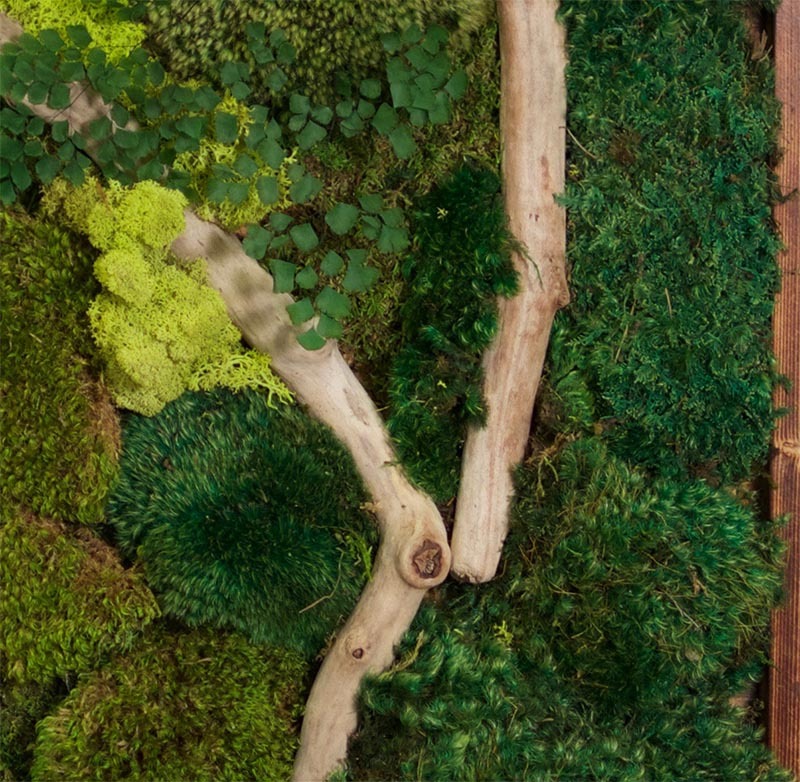 Living walls are very popular, but because of their maintenance issues, are very difficult to maintain. Most live walls have to be replaced within a short period of time. 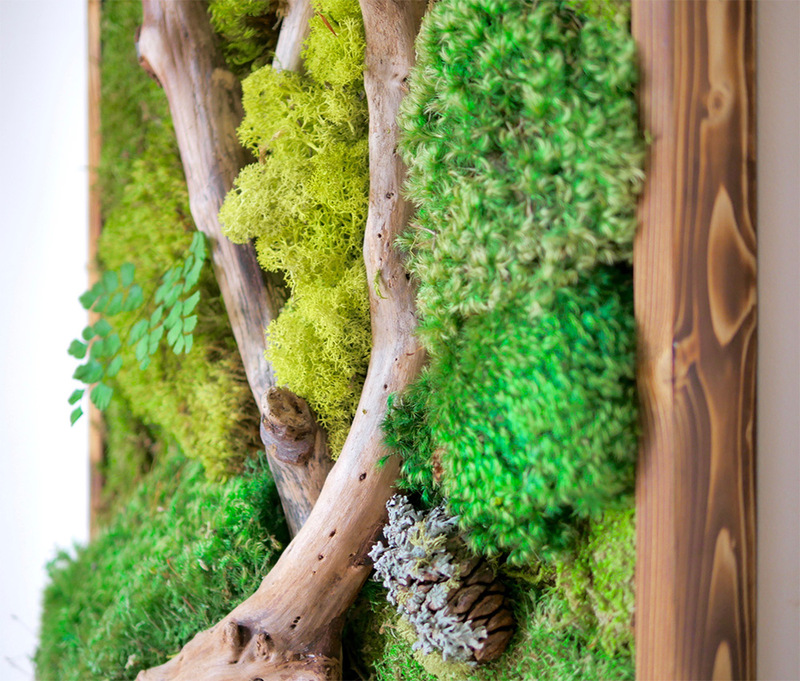 By using beautifully preserved plants we are able to create the same look and feel of a live wall with zero care. 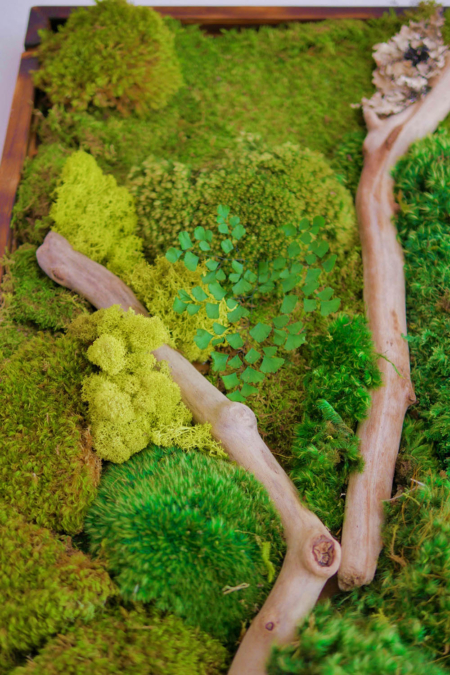 Our moss wall art will last for decades. No water, non toxic. Our frames are unique hand-made art work made by us. At the end of the process, the frame is burnt with fire. This is a Japanese technique called “Shou-Sugi-Ban”(焼杉板) and literally translates to “burnt cedar board”. The term is commonly used to describe the centuries old Japanese technique of charring “Sugi” (cedar) planks used for residential siding, fencing, and decking projects. This technique has the great affect of preserving the wood against time, fire and insects, and gives the wood a unique look. After the wood has been charred, we apple a preserving oil. Each frame reflects the Japanese principle of wabi-sabi, or beauty in imperfection. 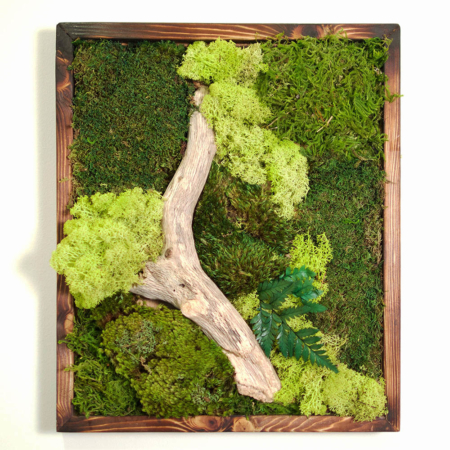 This listing is for a 36×18 Moss wall art. The frame is 3/4″ wide, and 2″ deep, burned to perfection and oiled to give it a deep brownish black hue.